Meet Dave, he's 35 years old and in the last few years he's began to experience his hair thinning, an issue commonly known as male balding. Unfortunately for Dave and many others this is a common problem that arises in both male and females, which massively impacts confidence. The ageing process is harsh but in this guide we explore the various options available on the market today. Keep reading, you're not alone. Over 50 million others in the US suffer from hair-loss. Hair loss is an unfortunate but common occurrence for men and even some women as they get older. If you want to get your luscious head of hair back, there are numerous products on the market that can help. The more you learn about hair loss, the better your chances will be of getting your hair back sooner rather than later. Those who get help from the right product can get the hair regrowth results they are looking for. What About Hereditary Hair Loss? What is the Best Way to Prevent Hair Loss? There are many different causes of hair loss that you should know about. When you are trying to find the best solution to this problem, you will need to know what the cause of it is first. Genetics: Sometimes hair loss is inherited from our parents through genetics. This is one of the more common causes, and it is sadly unavoidable. Those who lose their hair for this reason typically notice a gradual recession of their hair line. Medications: Certain medications do list hair loss as a potential side-effect. Those who take drugs for heart issues or to lower their blood pressure can experience this. It is important that you know all of the possible side-effects for the medications you are taking. Stress: The more stressed you are, the more likely you are to lose your hair. The hair loss that is caused by stress is usually just temporary. Age: A more obvious cause - but it's a fact that as you age your hair growth slows. Hormones: Another possible cause of your hair loss is hormonal changes. There are a number of different conditions that can cause these changes in the body, including menopause, pregnancy and thyroid issues. Alopecia areata along with a handful of other conditions can lead to an infection of the scalp, which in turn can cause hair loss. Radiation therapy: If you are receiving radiation therapy on your head, you could experience partial or even complete hair loss. This doesn’t happen to everyone, though it is certainly a possibility. Hair styles: Some hair styles can cause partial hair loss, including pigtails. If you pull your hair back tight on a regular basis, you should consider switching to a different style. These hair styles can be very hard on the scalp, and hair loss sometimes occurs. Eventually your hair will stop growing, though the exact length at which this happens varies from person to person. Some people are capable of growing their hair out longer than others, but there is a point at which it will cease to grow. A majority of people’s hair grows around ½ inch per month. The maximum hair length for most people is anywhere from 12-42”. There are numerous factors that can affect how long a person’s hair can get before it stops growing, including the health of their follicles. As you get older, your hair growth starts slowing. It is usually easier for a younger person to grow their hair long than someone who is older. There is some evidence to suggest that even time of year can impact hair growth. There are a couple different factors involved in hereditary hair loss that you should know about. Those who inherit the “baldness gene” or X chromosome from their mother has a 50/50 chance of losing their hair. If your mother’s grandfather has this gene, you are at increased risk of having it yourself. Not all men who inherit this gene lose their hair, interestingly enough. One study that was conducted in the mid-2000s discovered that men who had a father with alopecia were significantly more likely to experience some degree of hair loss. Both male and female pattern baldness tends to first present as thinning on top of the head, progressing slowly over time. Some people’s hair loss occurs faster than others, so it all depends on the person. It usually starts occurring around the age of 30, though this too can vary. If you want to prevent hair loss altogether, you will need to make sure that you keep your hair and scalp as healthy as possible. This means doing things like shampooing regularly and getting plenty of essential vitamins and minerals on a daily basis. There are certain vitamins that are more important than others when it comes to hair loss. The healthier your hair is, the less likely you are to lose it as you get older. There are also a number of products that can prevent further hair loss that you might want to look into. Some methods are more effective than others for preventing this issue, so it is largely a matter of trial and error. It is also important to stay hydrated, as it is good for your overall hair health. Procerin is one of the most effective products on the market for growing hair faster. It can be of particular help to those who are concerned about hair loss. This product is made up of all-natural herbal ingredients that can help boost your hair's overall health. You don’t need a prescription to get Procerin, and it is completely safe to use. Each ingredient was carefully selected because of its documented ability to grow hair quickly. Some of the other ingredients include pumpkin seed, black cohosh, and Siberian ginseng. One of the unique things about this product is that it is specifically designed to help those with androgenic alopecia. It affects DHT in the scalp, which is why it tends to work so well for so many people. Procerin blocks the formation of DHT so that your hair can grow faster than ever before. It is particularly beneficial for men who are balding, but women can certainly get positive results with it too. Those with higher levels of this chemical in their systems are more likely to grow hair slower. 94% saw a significant reduction in hair loss when they began using this product. This product is broken down into two parts that consist of a shampoo and tablets that are consumed orally each day. You must use both of these items together in order to get the desired results. The shampoo stops DHT from binding to your hair follicles. It is important that you use both the tablets and shampoo on a daily basis so you can get the best possible results. Each of these products have been carefully formulated to stimulate the growth of hair. The amount of time it will take you to start seeing results with this product depends on many factors, but most people begin noticing a difference in the first two or three months. Other people can see results in as little as a few weeks. If you are going to use this product, it is important that you are patient. 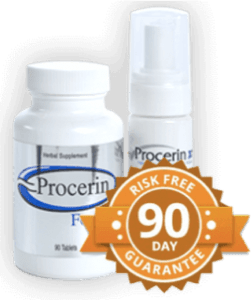 Those who use Procerin do not typically experience any adverse side-effects, though it is always a possibility. Increased sensitivity or irritation of the scalp is one potential side-effect to be aware of. Because this product is made up of natural ingredients, it is unlikely that you will have any problems with it. Most of the customer reviews that you will find for Procerin are very positive. Many customers say that they start seeing results within a few weeks to a couple of months of starting this product. There aren’t very many other products on the market that are as positively reviewed as this one. Procerin offers a definitive hair growth solution for men. It has the potential to speed up the growth process significantly to help those who have problems with hair loss. Both the shampoo and tablets are very safe and contain numerous powerful yet natural ingredients. 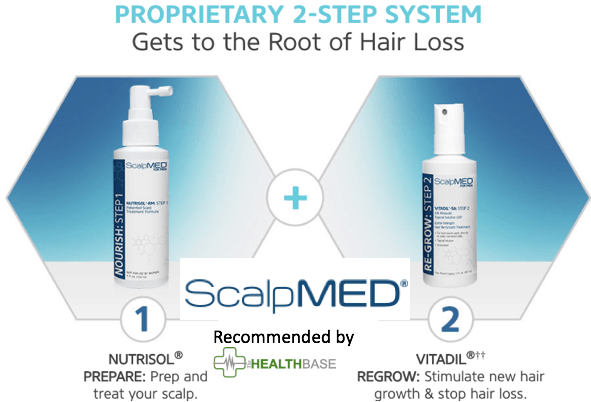 Scalp Med has a patented formula that is designed to prevent hair loss and help you grow a thicker, fuller head of hair in a short period of time. It is FDA-approved, so you can trust that it is completely safe. This product does not contain any gluten, parabens, or sulphates. It can be used on a daily basis, and offers one of the most ways to grow your hair faster. The Men’s Scalp Med Kit includes Vitadil-5A, which contains a solution comprised of 5% Minoxidil. The other product you get is NutriSol-RM, which is made up of natural ingredients like herbs, minerals and amino acids. The natural formula that this product uses is just one of the reasons why it has become so wildly popular. The Women’s Scalp Med Kit has a single bottle of Vitadil-2A and the NutriSol-RM solution that you get with the other kit. The Panthenol-Dx Follicle Detoxifier is a very powerful solution that can help clear dirt and bacteria from your hair follicles to promote quick growth. It is an essential part of this product as a whole. The Phyto-Pur Shampoo product can be used on a daily basis, and it cleans the hair shaft while producing a thickening effect. It too contains only natural ingredients that won’t do any harm whatever to your hair. The Cortex Enlarger Thickening Spray also helps with thickening the hair shaft. The Complex Amino Acid Conditioning Treatment is a prescription-strength conditioning product that will help keep your hair strong and healthy. The Complete Care for Thinning Hair Kit comes with a bottle of shampoo as well as Cortex Enlarging Spray and Strength Follicle Detoxifier. As far as the ingredients in this product are concerned, Minoxidil is very effective at regrowing hair and even carried approval from the FDA. It is commonly used to treat thinning hair for men and women. This particular ingredient is actually used in quite a few different hair-growth products, including Lipogaine and Rogaine. The chances of experiencing any side-effects from using the products included in Scalp Med are very low. There is a slight chance that you could experience a mild burning sensation or irritation of some kind from using or more of these products. There is also the chance of an allergic reaction. If you experience any sudden weight gain, fatigue or heart palpitations, you should stop using these products immediately and seek medical attention. Customer reviews for Scalp Med are generally positive with very few negative comments from those who have purchased it. You will notice that a lot of these reviews tend to focus on how quickly these products work. Many of the people who write these reviews seem to love the fact that all products use a natural formula. While there are some mildly negative reviews, they are few and far between. When you start using Scalp Med, you can expect to begin seeing noticeable results within the first 30-60 days. These products are very fast-acting because of their powerful formula. You will find that each product is very easy to use, though you should look at the instructions on the label before getting started. All you have to do is shake each bottle thoroughly, use the nozzle to pump the solution onto your hands, and gently massage it into the scalp. Scalp Med costs $279 for a four month supply, which isn’t bad at all. This product tends to work for most people, and it is a great investment to make if you want to retain a full head of hair. Provillus is another great product that is marketed towards those who want to prevent hair loss entirely. It uses only natural ingredients to stimulate the growth of hair for men. This product consists of a lotion and capsules that you take on a daily basis. These products both use unique proprietary formulas that have the potential to help countless people keep a full head of hair for years to come. The capsules that you will get with this product contain a natural compound that prevents dihydrotestosterone or DHT from circulating in the body, which in turn encourages healthy hair growth. Each pills has a number of powerful ingredients, including biotin, zinc, and vitamin B6. Every ingredient has been proven to help with hair growth through numerous scientific studies. The topical solution uses a Minoxidil-based compound that is perfectly safe and FDA-approved for the purpose of preventing hair loss. It consists of 5% Minoxidil. All you have to do is simply rub it into the scalp thoroughly. While this treatment can be very effective for many people, it can cause the scalp to become dry and itchy. There aren’t many documented side-effects associated with Provillus, though some people may be allergic to one or more of the ingredients in it. If you notice any signs of an allergic reaction, you should stop taking it right away. One of the things that separate this hair growth product from so many of the others is the science behind it. A study performed in 2002 revealed that a majority of those who used this product saw noticeable results by the end of the 48-week period. The results of this study were measured by each participant’s baseline and overall hair count. Some of the ingredients in this product include Aloe Vera, coconut milk, lime seeds, fenugreek, onion, and honey. All of these things have been shown to promote hair growth in a very big way. They are all completely natural, so you don’t have to deal with any of the side-effects that come with prescription medications. You can purchase a 2-month supply of this product for $89.95. It is a bit more expensive than some of the other hair growth supplements on the market, but it’s also very effective. There are many positive reviews for this product from actual people who have purchased and used it. While not everyone who uses Provillus will get the same exact results, it is definitely still an option that you should keep in mind. Provillus for Women is made up of different products that are both designed to stimulate hair growth. Some of the ingredients in this supplement include magnesium, vitamin B6, and biotin. The two primary ingredients are horsetail silica and pera-amino benzoic acid. This product’s simple but effective formula has made it one of the leading hair loss solutions in the world. The Minoxidil that you get when ordering this product eliminates hair loss by nourishing the follicles so they get what they need to grow strong and healthy. It is one of the more common ingredients in products that are intended to treat hair loss. Clinical studies have shown that it has proven useful in growing back hair for many people who take it regularly. One of the major differences between this product and Provillus for Men is that it contains 2% Minoxidil. Studies have shown that women actually need less of this ingredient to grow back hair, which is why there isn’t as much as its male-friendly counterpart. Those who order Provillus for Women will have to take just two pills each day. You will also need to use the topical product on your scalp two times each day. Simply massage the solution across your scalp to let it absorb and work its magic. This hair growth supplement costs $39.95, and you can purchase it on the manufacturer’s website. There are usually discounts available if you go through the official site as opposed to Amazon or somewhere else. This is a pretty good deal when you consider the outrageously steep prices of similar products on the market. You are getting two products for the price of one, which is a deal you simply cannot beat. Any woman who is experiencing thinning of the hair should consider using this product because of how well it can work. There are many positive customer reviews for this supplement from women who have gotten incredible results. While it is most effective in the early stages of hair loss, it can help virtually any woman. The formula that Provillus for Women uses is FDA-approved, so you don’t have to worry about how safe it is to use. Women who are pregnant or nursing should avoid using these products though. Some women who use this supplement start seeing results sooner than others. One of the unique things about this product is that it hydrates the hair will promoting growth. This means that you can expect your hair to look healthier and fuller. The manufacturer states that it can take up to 3 months to start seeing results, though this will not be the case for everyone. If you are looking for a definitive solution to your hair loss, Provillus for Women is one option to think about utilizing. It has only natural ingredients, so any side-effects are extremely mild and rare. If you notice any irritation of the scalp, you should stop using it right away. It is possible to have an allergic reaction to one of the ingredients, though it is extremely unlikely. This product has been used with great success by thousands of women all over the world, and you could be one of them. Folexin is a powerful supplement for those who want to grow their hair quickly and effectively as soon as possible. It is very highly rated and offers one of the best solutions for those who are prone to hair loss. This product can also increase the volume and thickness of your hair, making it look better and healthier than ever. Some of the ingredients in this product include vitamins A, C, E, D3, and B5. All of these vitamins are very important for maintaining good hair health. There is also potassium gluconate, manganese chelate, magnesium oxide, iron ferrous fumarate, zinc oxide, and calcium carbonate. The 100% natural formula of this product is just one of the things that make it so appealing and effective. The biotin (vitamin B7) in this product is an essential vitamin that can have a huge impact on hair growth and overall appearance. It also plays an important role in your cardiovascular and digestive systems. Increased levels of biotin have been linked to healthier and faster-growing hair, nails, and skin. Fo-Ti is another ingredient in this product, and it has been used in eastern medicine for a very long time. It promotes accelerated hair growth naturally, which is perfect for those who are worried about going bald. Folic acid is another ingredient found in Folexin, and it can definitely aid in the growth of hair. Numerous studies have shown that those who aren’t getting enough folic acid are more likely to experience hair loss. This ingredient offers many other benefits that will help to keep your body and mind functioning properly. You can purchase Folexin on the manufacturer’s official website. One bottle (1 month supply) costs $24.95, a two-month supply costs $44.95, and a three-month supply costs $77.95. You will get a total of 60 capsules in each bottle. Most customers have reported that shipping is very quick, so you can start taking this product soon after buying it. If you are interested in purchasing Folexin, it is highly recommended that you take a look at some of its customer reviews. These reviews are packed with praise for this supplement, with many people saying that it has help them become more confident than ever. The results that these people have achieved with this product are amazing and undeniable. There are numerous before and after pictures for those who have taken Folexin, and they are quite remarkable. Folexin is a great overall choice for those who want to find an effective solution for preventing hair loss. Whether you still have a full head of hair or have started balding, this product can help. It is completely natural and safe to use for most people. You should check with your doctor before taking this product. Profollica is intended for use by men who are experiencing problems with hair loss. This product is a three-part system that can help you grow back the hair you have lost to restore your looks and confidence. When you order this product you will receive the shampoo, shower gel and nutritional supplement. Each of these items contain only natural ingredients, making them very safe. Cinnamomumb Zeylanicum Extract: This ingredient helps remove bacteria from the scalp to keep it healthy and prevent further hair loss. All of the three products that you will receive when you order Profollica come with easy-to-follow instructions. You will need to use these products on a daily basis for at least several weeks before you begin to see results. Some people who use this system will start to notice hair growth faster than others. A vast majority of people get noticeable results with these products, but you will need to be patient. Reviews from customers who have purchased Profollica are very encouraging to say the least. These people have lots of positive things to say about this product. You will be hard-pressed to find many reviews with any serious complaints in them. You can purchase Profollica on the manufacturer’s official website where you will get the best possible deal. When you order from the company’s site, you can get a six month supply for just $49.99 per month or $299.95 total. A three month supply is available for $159.95. If you want to buy just one bottle, you will spend $59.95. This is a pretty good deal when you consider how pricey many other similar brands are. You will be able to take advantage of a 60-day trial with one week of return shipping. There are a lot of different brands and solutions on the market to choose from, but Profollica is one of the better options available. It has a very good reputation among customers, and its natural formula means a very low chance of experiencing any adverse side-effects. Infinity Hair Building Fibers can increase the volume of your hair to make it look better than it has in years. It can reduce the appearance of thinning hair for men and women. One of the amazing things about this product is that the results are virtually instantaneous. It only takes about 30 seconds for it to work its magic. This is a safe, effective and highly convenient hair loss solution that you should explore. When you purchase this product you will be able to choose the color that best matches your hair. It is highly recommended that you take the time to review your options before making a decision. There is a very good chance that you will be able to find the right color without any issues. All you have to do is just sprinkle this product on your hair. While this is a short-term solution, it can produce very noticeable results within a matter of seconds. The pump applicator makes it easy to control your hair fibers, and the locking spray keeps them in place very effectively. Each application of Infinity Hair will keep working for up to a few days. After that you will need to reapply the product. It is a very safe product with a very low chance of side-effects. Scalp irritation is possible, but not many people who it this product will experience it. You can buy this Infinity Hair Building Fibers in 5-gram, 15-gram, 30-gram, and 60-gram bottles. This products anywhere from $7.99 to $64.99, depending on the size you purchase. It is a good short-term solution for those who want to hide their thinning hair. 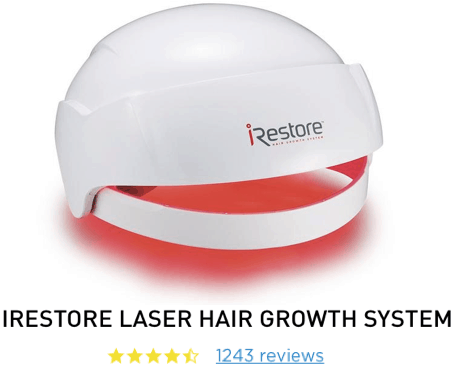 The iRestore Laser Hair Growth device is designed to regrow hair to make it thicker and fuller. This device can work well with both men and women. It uses laser light technology to promote fast and noticeable hair growth. This FDA-approved device can be of great help to those who want to find a definitive solution to their alopecia. It has been clinically tested and 100% of the participants saw a noticeable amount of hair growth within the first 4-6 weeks of using it. You will find that using this device is completely painless, and it even works for those who already have significant hair loss. The light energy that this device emits gets taken in by the hair follicles, speeding up the metabolism. The chemical process that is triggered by the light stimulates the growth of hair, reactivating dormant hair to making thinning hair thick again. It can also help with covering bald spots up. There are many testimonials for this product that you can find online. These positive reviews are a strong indication as to just how well this product really works. All you have to do is put the device on your head and press the “Start” button. You must leave the device on your head for 25 minutes at a time. It is important to use it every single day to get the very best results. The overall design of this device is quite impressive. There are 51 medical-grade lasers that all target the scalp when you put it on your head. It comes with a 1-year manufacturer’s warranty, and it is a great purchase for those who want to get their hair back. The manufacturer says that this device works best for those who are 18-48 years old, though almost anyone can benefit from it. The overall design of this device is quite impressive. There are 51 medical-grade lasers that all target the scalp when you put it on your head. It comes with a 1-year manufacturer’s warranty, and it is a great purchase for those who want to get their hair back. The manufacturer says that this device works best for those who are 18-48 years old, though almost anyone can benefit from it. One of the unique things about this device is how well it works for men and women with pattern baldness and other hair issues. Those who have lost their hair due to chemotherapy treatments will find that this is a good solution to look into. Since you will have this device on your head, you can have your hands free to do what you want while you are waiting. One of the unique things about this device is how well it works for men and women with pattern baldness and other hair issues. Those who have lost their hair due to chemotherapy treatments will find that this is a good solution to look into. Since you will have this device on your head, you can have your hands free to do what you want while you are waiting. It can take some people up to 25 weeks to see results with the iRestore Laser Hair-Growth device. The company are offering a 100% money back guarantee when you buy the product. The full system costs $695 and the MAX Growth Kit costs $775. You can get a 3-month supply for $875 or a 6-month supply for $995. There are lots of different hair growth devices on the market, but none of them have the same kind of reputation as this one. It offers a uniquely effective way to get your full head of hair back in just weeks. CapillusPro is an FDA-approved device that can grow back hair that has fallen out because of one’s genetic makeup. It has a flexible design that makes it fit comfortably on the head. You just put the cap on for a total of six minutes for the best possible results. This device looks like a regular baseball cap on the outside, so you can wear it even outside of the house. This is an effective hair loss solution for both men and women. It is most effective for those who are in the early stages of hair loss. It comes with a 3-year manufacturer’s warranty for every part of the device, including the lithium-ion battery. Those who are interested in getting the CapillusPro will need to go in with realistic expectations. Not everyone will get the same results from this device, but it is still an option worth keeping in mind. It is very easy to use and incredibly convenient due to the flexible and inconspicuous design. There are a total of 272 diodes in the cap that emit laser light, thereby stimulating hair growth. This device is available for $2,999, and it is a good investment for a lot of people who are looking for a definitive solution to their hair loss problem. It is safe to use and doesn’t come with any of the side-effects that are associated with topical ointments and other types of products. Most people who use it start to notice hair growing back within just a few weeks, though sometimes it is even sooner. Since you only have to wear it for six minutes each day, you don’t have to worry about ever being inconvenienced. The reviews speak for themselves, see Alicia's review below. Perfectly suitable for both male and females. The manufacturer of this product states that it takes an average of 24 months to achieve a thick, full head of hair with this product. It is designed to fit all different size heads comfortably, though you only need to wear it a few minutes each day. You shouldn’t expect immediate results, as it will take a while to grow your hair back. Some people may not be able to get all of their hair back, but it can help a majority of men and women with pattern baldness. This device comes with all required accessories, including the battery pack and travel case. You will also get a universal AC adapter. It is very lightweight and compact, so you won’t have a problem taking it with you wherever you go. There is also a user manual that details how to use this product properly. It is highly recommended that you take the time to look through this manual before getting started. 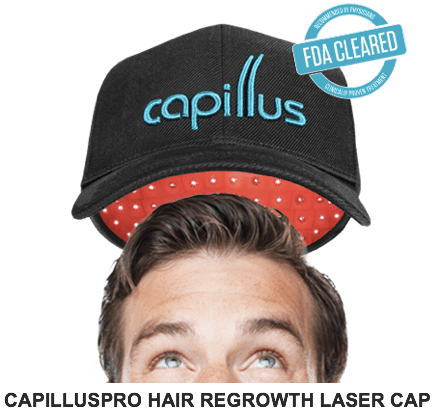 Overall, the CapillusPro Mobile Laser Therapy Cap is a powerful and effective device that can help you get back the hair you have lost. This is not an extremely fast way to grow back your hair, but it does work if you are patient enough. 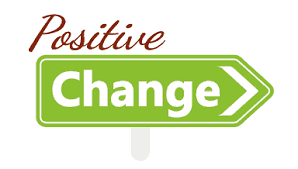 At thehealthbase.com we're on a mission to provide the best solutions to our readers problems. Obviously male balding is one of those severe cases that requires a detailed overview. Firstly, it is important to understand why something happens before you can tackle it straight on. 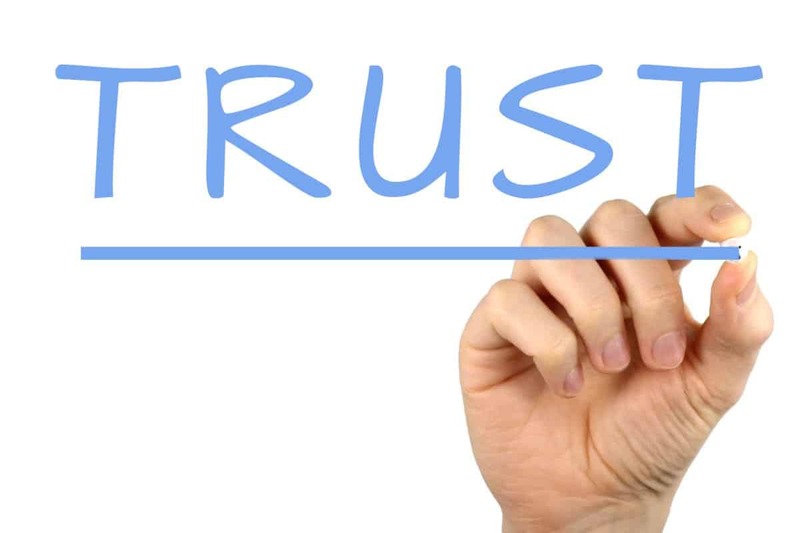 At the core of our website's mission is to provide honest, detailed and unbiased reviews of the best solutions on the market today. For this reason we've set out to represent this at the core of our content. Our editors have experience analyzing products, collating massive amounts of research and real life customer reviews to help you make an informed decision. In addition to this, our credibility is the heart and soul of this website's existence and we have built our 10,000+ Facebook following on this premise. All in all, when you see our recommendations on this site, you can rest assured that we have completely thorough research to guide you on the best path to help solve your burning issue. Well there you have it gang! This finalizes our guide on male pattern baldness. If you suffer from this, you're not alone. As discussed in the guide, there are many ways to prevent this from happening and the solutions have become a lot more sophisticated on the market today. Although we've covered many options, not everyone of them will work or be suitable for each individual. They each come with different price points and can be effective in their own right. If you have any other suggestions on products which have worked for you, leave us a comment down below. If you've tried any of the products reviewed on this page, let us know your experience whether good or bad.